From daisy family, the chamomile flower is one of the most popular herbs, used for generations in traditional medicine. 1. Digestion- the chamomile tea, after meals, is assuring a proper digestion. 2. Stomach strength- chamomile supplements are often used in treating ulcers and gastric problems. 3. Cold- chamomile hot tea and chamomile oil diluted in water, for inhalation, are good remedies for all sorts of cold types. 4. Tired eyes- chamomile oil mixed with water- transformed into ice cubes works well on tired eyes, conjunctivitis and dark circles around the eyes. 5. Relaxation- chamomile oil in bathing water helps in relaxing and calming down stressed nerves. 6. Insomnia remedy- having sedating properties, the chamomile oil can prevent insomnia, placing a few drops on the pillow and behind the ear lobes before sleeping. 7. 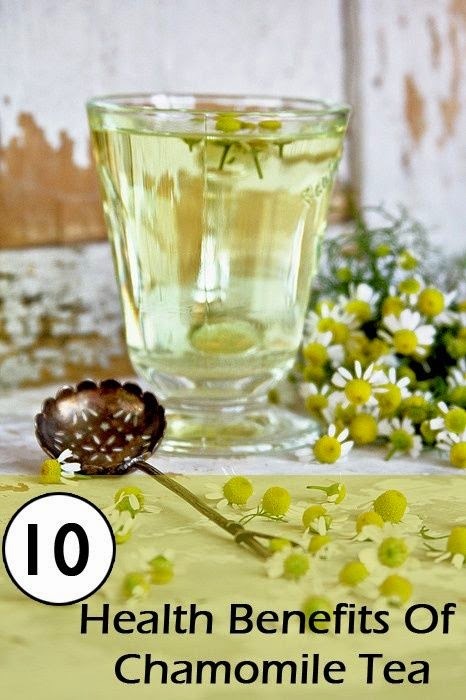 Psoriasis treatment- chamomile oil is used in psoriasis and skin problems treatments. 8. Acne treatment- chamomile soothing properties help in treating rashes, pimples and acne. 9. Gum problems- mixed with clove oil, the chamomile oil is used in making a mouth wash that solves all sorts of gum problems. 10. Muscle cramps – a cup of chamomile tea works well in relaxing the muscles during menstruation and relieving from the pain.